The afternoon programme will explore the History of Statistics from various novel standpoints. Professor McDonald will discuss Florence Nightingale and her Crimean War Statistics: Lessons for hospital safety, public administration and nursing. Professor Bailey will then consider Some history of Latin squares in experiments. 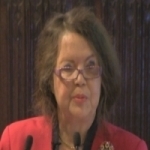 There will be a Reception at 5.30pm, after which Dr Eileen Magnello will present the annual Gresham-BSHM lecture, on Karl Pearson's Gresham Lectures on Geometry (1890-1894). This is part of the 2014 Gresham College/ British Society of the History of Mathematics conference. 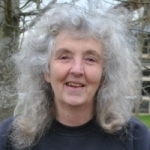 Professor Bailey is Professor Emerita of Statistics in the School of Mathematical Sciences at Queen Mary, University of London. She is also Professor of Mathematics and Statistics in the School of Mathematics and Statistics at the University of St Andrews, Edinburgh. 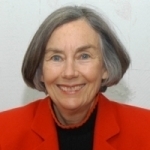 Lynn McDonald is University Professor Emerita at the University of Guelph in Canada and Director of the Collected Works of Florence Nightingale. McDonald is former president of the National Action Committee on the Status of Women, co-founder of JustEarth: A Coalition for Environmental Justice and is a member of the Board of Directors of Climate Action Network Canada. Florence Nightingale and her Crimean War Statistics: Lessons for hospital safety, public administration and nursing.